As companies continue to fight for position in the digital economy, they must consider the primary element that drives real success–and that’s the digital-ready workforce. There’s no question that many departments are already digitally inclined, such as IT groups and product development. But other parts of the business are becoming just as reliant on digital best practices, from internal operations to customer-facing units like marketing and sales. Nearly 8 in 10 middle-skill jobs now require digital skills, and digitally intensive jobs have grown 2.5 times more rapidly than middle-skill jobs. Companies large and small just need a little guidance as they grow into digital enterprises from the ground up. Here are five departments in your business that will need to be digital ready the soonest, and steps you can take to ensure they’ll make it there. Digital marketing has already become popular, driven by invaluable technologies like customer relationship management (CRM), search engine optimization (SEO), social media and improvements to targeting techniques in email campaigns. Digital-ready marketing organizations have been shown to generate more qualified leads and convert them faster than ever before, and the digital impact is everywhere. Buyers who use social media have 84 percent larger budgets than those who don’t use social media, making social media-based campaigns a must in today’s marketing environment. Email has proven to bring in a media ROI four times higher than other marketing formats (Direct Marketing Association), and companies publishing at least 16 blog posts per month get almost 3.5 times more traffic than companies that publish 4 or fewer posts. Meanwhile, SEO professionals are one of the most highly sought-after in digital marketing, with job growth in the SEO sector five times that of the overall job market, making training for SEO specialists a rapidly expanding field. Evolving digital skills can also have a huge impact on your IT organization. IT is charged with not just rolling out the technology to the company but also protecting digital assets. Over 72 percent of companies were attacked in the past year, and yet 78 percent don’t have a cyber incident response plan in place. 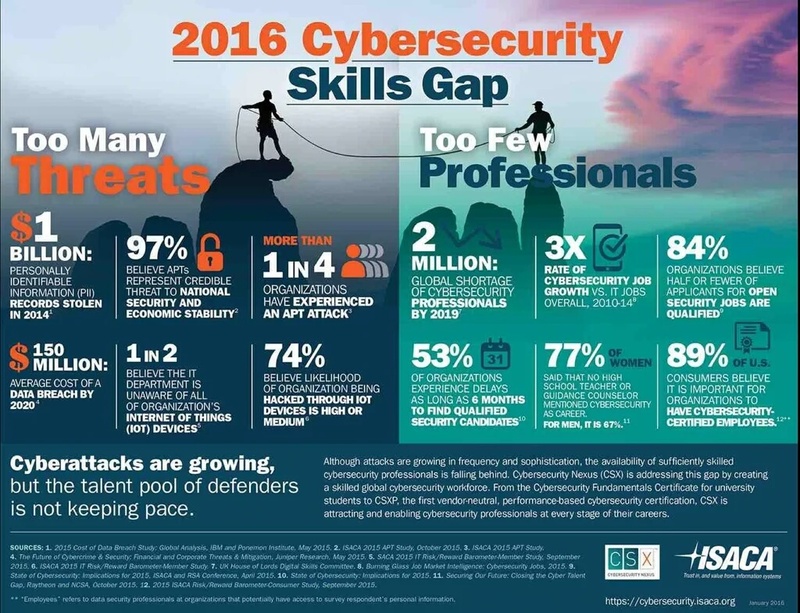 Meanwhile, there is a clear skills gap at play in cybersecurity, with 84 percent of organizations believing that half or fewer of applicants for open security jobs are qualified. A growing job title, the Certified Ethical Hacker (CEH), is becoming commonplace in IT organizations to fill the need for security-minded IT staff. Having CEH-certified professionals on your team helps you grasp the step-by-step methodology and tactics that hackers use to penetrate your corporate infrastructure. CEH professionals are key members of today’s digital-ready IT organizations, and from a career standpoint, they earn as much as 44 percent higher salaries than their noncertified counterparts (Indeed.com). Digital-ready organizations leverage data science to make more informed business decisions and improve business results across many different departments. A recent study showed that 59 percent of organizations expect to increase positions requiring data analysis skills over the next five years, and the departments most in need are accounting and finance (71 percent), human resources (54 percent) and business administration (50 percent). Moreover, 85 percent of companies report that they have started programs to create data-driven cultures, but only 37 percent report success thus far, according to a recent NewVantage Partners study. The need for qualified data scientists who play a key role in digital organizations is rising at a steady pace. As the sales models of yesterday continue to tumble, digital and social selling techniques are taking charge. In a recent report, 63 percent of sales professionals reported that social selling–an increasingly important component of digital selling has become important for closing new deals. Digital-ready sales organizations that employ new digital selling techniques are 5.7 times more likely to secure prospect meetings and hit 150 percent of their quotas on average. Whether it’s leveraging social media networks to target prospects with the right content, or just leveraging CRM functionality to its fullest to nurture deals, digital selling is a vital component of today’s sales organizations that want to maintain better customer relationships and drive better results. DevOps is a software development and delivery process that establishes better communication and collaboration between the software developers and the teams that deploy it. New DevOps positions require special skillsets to manage both sides of the development-operations side of the equation, and they are becoming critical to empowering more digital-ready development organizations. More and more operations professionals are training to move into these roles, and they do it for good reason: DevOps was named one of the 11 best jobs in America for 2017 and data from Payscale.com shows that DevOps Managers earn as much as $122,234 per year, with DevOps engineers making as much as $151,461 in salary. So what does being “digital-ready” mean for your organization? It means that you are successfully leveraging a wealth of digital, data science and productivity technologies to create an environment that embraces rapid change. By streamlining how they run their businesses, digital-savvy companies are almost certain to outpace their competitors in the years to come.